Gay? Unhappy? Wait, that's not right. Gay? Unhappy? Wait, that’s not right. This attachment belongs to Gay? Unhappy? 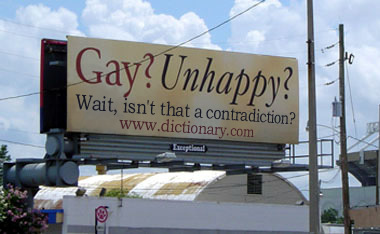 Wait, isn’t that a contradiction?